Advances in AI technologies have a substantial impact on everyday lives, and major changes are expected in the following years especially in urban context, where the majority of world population currently lives. The goal of this project is to provide understading and techniques for social sustainable applications of AI in urban context. AI is playing a growing role in our lives: by automatically gathering and processing information from human activities, AI technologies can perform several autonomous tasks, ranging from simple one such as voice recognition, to very complex like autonomous driving. The reliability of these technologies is increasing; therefore, many human tasks today are delegated to machines, and with the fast-technological development pace, many more human activities will be automated in a close future. Notwithstanding the large number of current applications of AI in everyday life, many issues are still under debate in several research communities and civil society: systematic biases, liability concerns, transformation of labor, are a few examples of the socio-technological challenges to be faced. The research project aims at studying the impact of AI applications in the urban context, in relation to the social implications and the technological developments. The research is conducted in a multi-disciplinary setting, harnessing the collaboration between the Nexa Center for Internet and Society and the Future Urban Legacy Lab (which involves seven different engineering departments). The first goal of the project is the creation of a digital infrastructure for the Digital Open Urban Twin, i.e. a platform -open in terms of licenses of the data and adherence to open standards- that allows the creation of layers of data “above” the physical city, each one on a specific focus and with potentially different -but coherent- level of details. The result is a “digital twin” of the city, which gives to researchers and policy makers the possibility to spatially correlate and visualize, beyond the more consolidated uses of 3D city models and 3DGIS, how urban phenomena/problems are distributed across different areas of the city and how they are connected each other at multiple scales. An exemplary but not exhaustive list of urban dimensions of interest are: pollution, arrests, poverty, education, energy consumption, traffic flows, commercial activities. The second operational goal of the project concerns Cities & Inequalities and it is twofold: 1) spatialize current marginalities e inequalities in a sample of cities; 2) investigate on the role of artificial intelligence techniques and in general digital technologies in perpetuating, amplifying or reducing such inequalities. 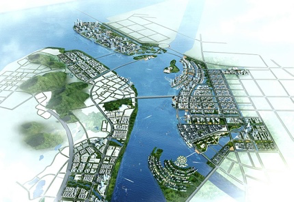 At the time of writing, the project team has delivered a feasibility study for the Digital Open Urban Twin, which summarizes the state of the art in 3-D city modelling and how requirements for the DOUT could be satisfied by existing digital tools. In parallel, the research team is setting up the specific research thread on Cities and Inequalities.